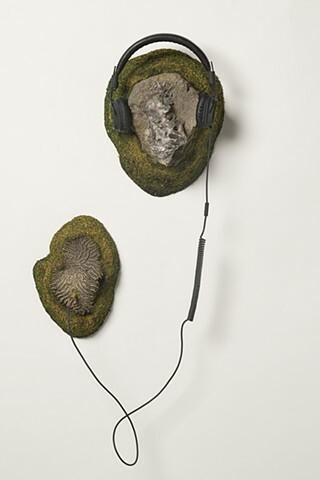 This body of work consists of two related, yet distinct, directions. 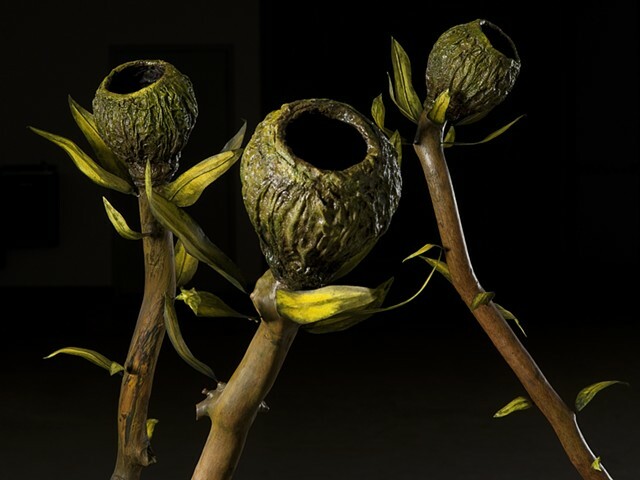 Both paths are rooted in a reverence for natural forms, materials and processes. 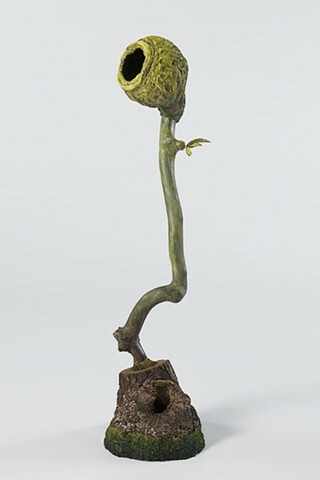 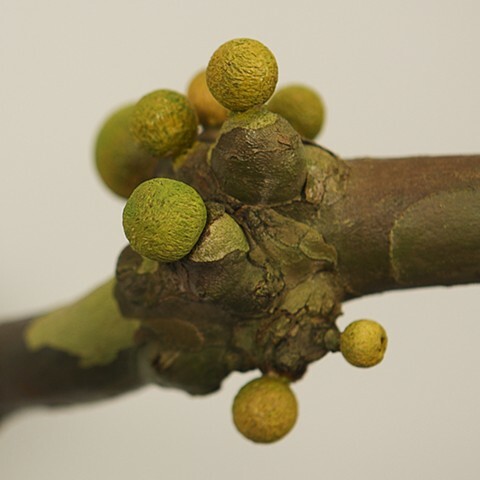 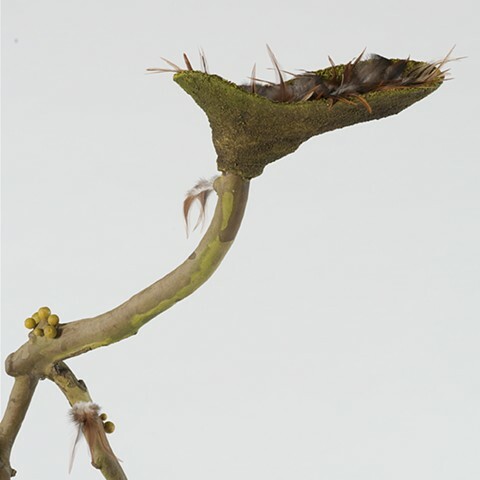 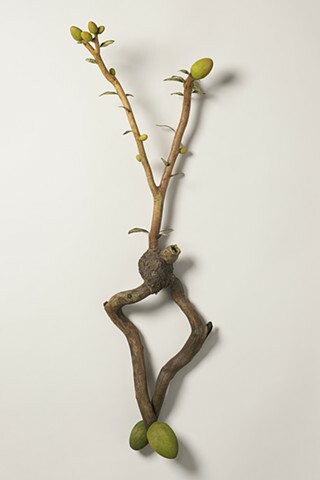 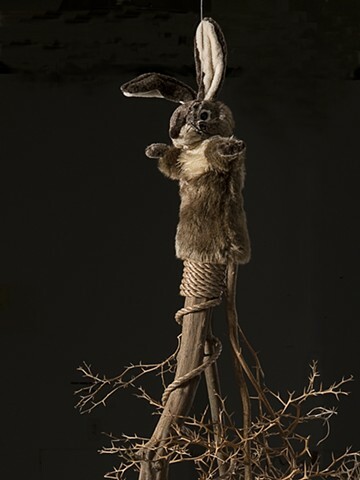 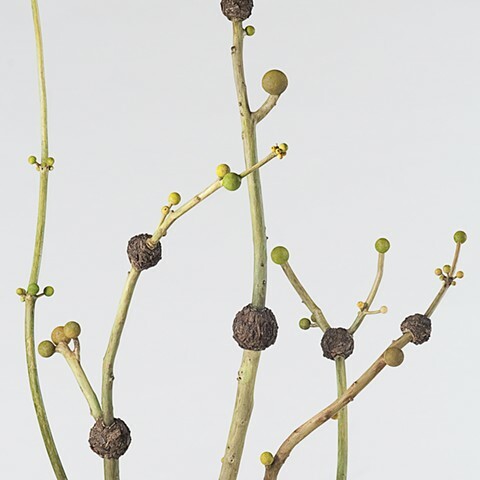 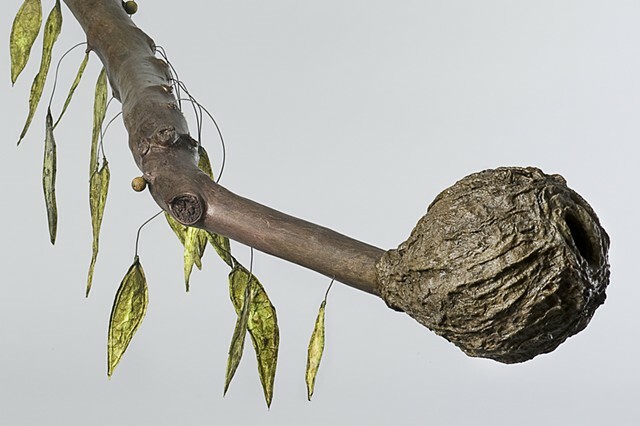 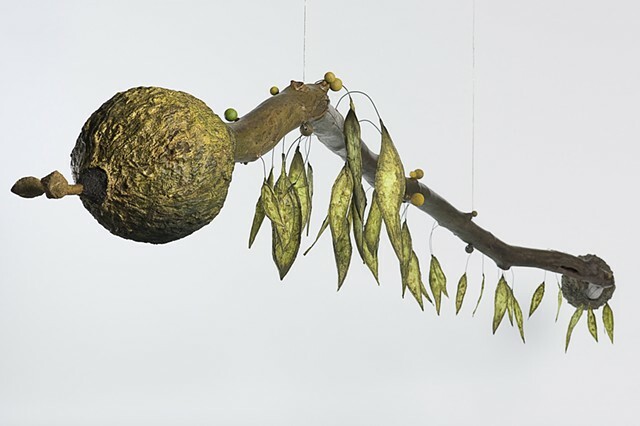 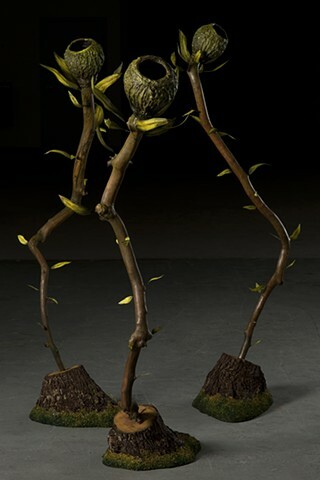 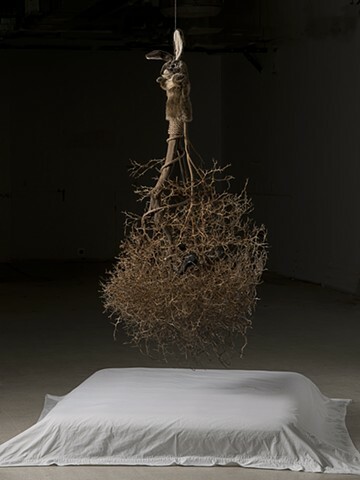 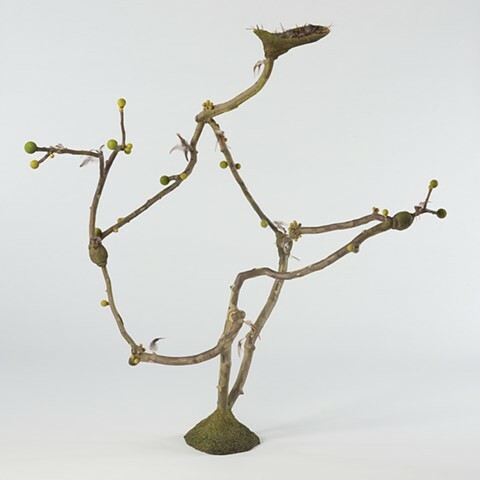 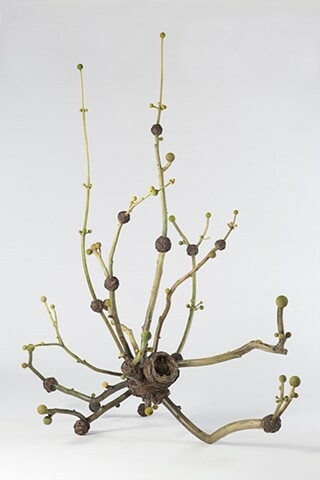 One branch presents biomorphic sculptures conjured from tree limbs conjoined with pods, bark, berry and leaf-like forms. 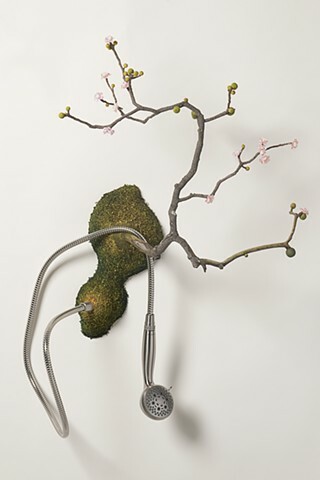 These works affirm the mystery of regenerative processes within the cycle of life and death. 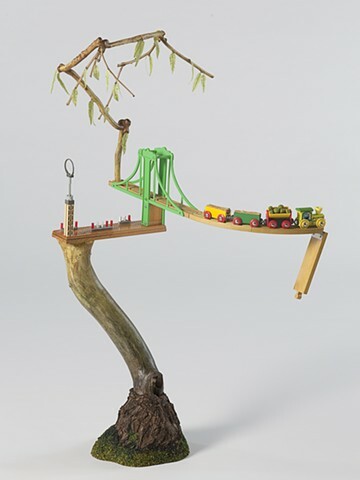 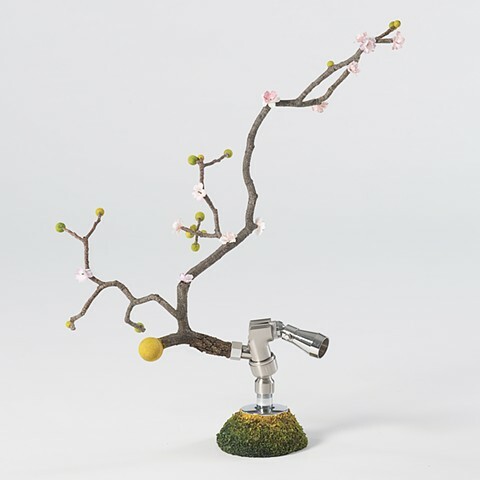 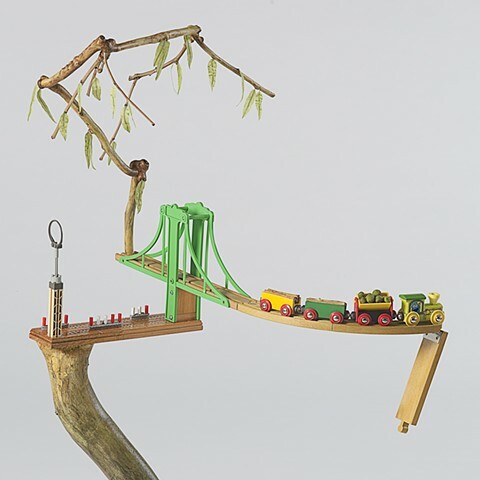 The second branch juxtaposes mass produced machined or technological elements with organic forms that offer an open ended commentary on cultural, societal, and environmental issues. 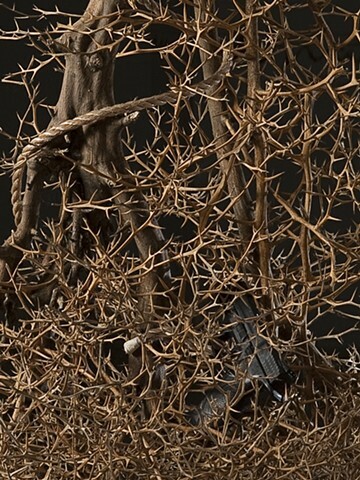 56 x 136 x 20"
44 x 15 x 11"
65 x 43 x 48"
45 x 12 x 11"
37 x 23 x 15"
88 x 76 x 64"
85 x 73 x 64"
63 x 62 x 36"
40 x 26 x 20"
30 x 15 x 7"